The BTMClub is the first initiative in the Netherlands bringing together professionals from a broad variety of companies contributing to and/or managing Corporate Business Travel & Mobility. Meet the managing partners. Carla has a strong aviation, travel trade (both corporate and leisure), online retail and Travel ICT background of more than 40 years. The 22 years of experience at Singapore Airlines and China Airlines, brought her a comprehensive understanding of the airline industry, whilst being commercial manager of WorldTravel BTI (now BCDTravel) brought her indept knowledge of the corporate business from the opposite side of the table. 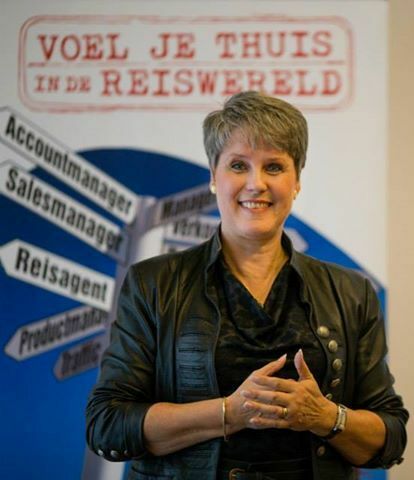 Contracting and maintaining strong relationships with all suppliers (airlines, hotels, carrental and others) was key to these roles, as well as in her position as MD of the Netherlands Branch at Lastminute.com and Commercial Director of TSi Solutions/Toeristiek (ICT solutions provider and content house for the travel industry). In 2012 Carla started CBTravelConsultancy as coach, trainer, consultant,project & change manager specialized in the travel and aviation industry. Managing partner and driving force behind the BTMClub since the start of the platform in 2014. She is convinced that looking from a broader mobility perspective will enhance Corporate Travel Management . Since June 2017, Reismedia has officially become managing partner with a 50% share in the BTMClub. See press release. Reismedia BV is an internet publisher responsible for a multitude of websites and various magazine, including Luchtvaartnieuws.nl, Zakenreisnieuws.nl, Triptalk.nl, Reisbizz.nl and Aviabanen.net. We have been writing about the aviation and the business travel industries since April 2002 and by doing so we serve more than 150,000 unique visitors every month. The pages of Luchtvaartnieuws.nl and Zakenreisnieuws.nl together are viewed a total of 2,500,000 times every month. A newsletter containing current aviation and business travel news is sent 6-10 times a week. The monthly glossy magazine Luchtvaartnieuws was launched on 10 March 2011 in a print run of 10,000 copies at the moment.